Pailon del Diablo, or, Devil’s Cauldron, is a large waterfall located in Baños, Ecuador. Worked into the mountain where it falls, there are a series of walkways and wooden bridges which leave you swinging high above the earth. The water originates from Rio Verde before taking its plunge. 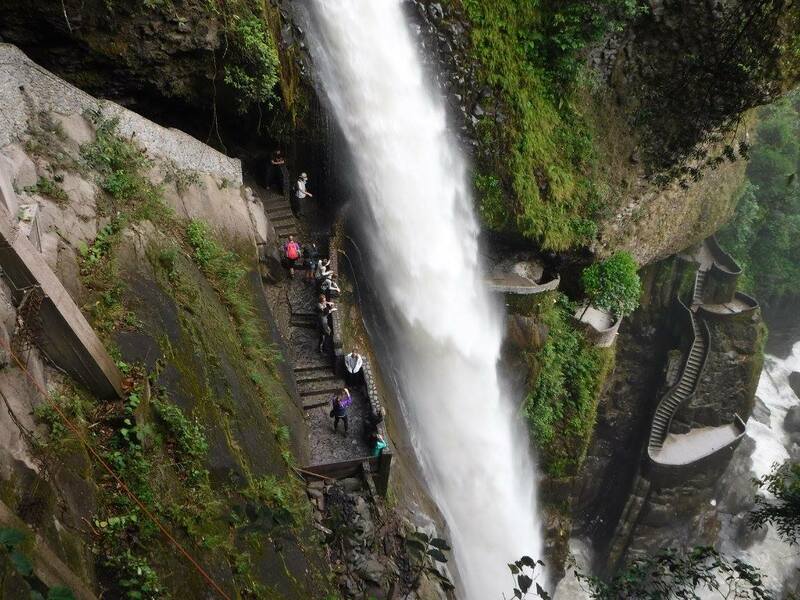 Baños has a lot to offer visitors including zip lining and rafting, as well as hikes and walks such as the one to this waterfall.